Century LP Gas fuel products have been manufacturing LP-gas combustion engines and parts since World War 1. With 96 years of experience, Century LP gas carburetors, regulators and more are found in all types of applications, including in forklifts and lift trucks used in materials handling environments. HGM Liftparts stocks hundreds of Century fuel products for LP-gas engines. View our parts online, or give us a call to find the right Century LP Gas replacement parts, repair kits and engine conversion kits. Browse Century LP Gas parts and replacement parts online, or use our Advanced Part Number Search function to narrow down parts for specific Century LP Gas replacement parts for your equipment. For a quick price quote or for help finding the right part, contact us using our Price Quote Request Form for Century LP Gas parts, or call us. 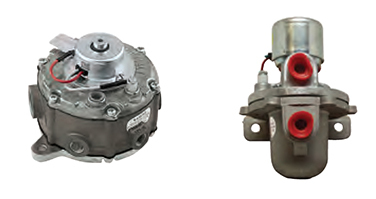 At HGM, we stock quality replacement parts and repair kits for Century LP Gas fuel products. Besides Century products, we also carry commonly requested replacement parts for all other LP Gas product manufacturers. Rest assured, if you need a part for your LP Gas forklift, lift truck, or vehicle, we've got it in stock and ready to ship! Below is a list of Century LP Gas product models we have parts for. Browse Century LP Gas Parts Catalog or search for Century LP Gas parts and repair kits using our Advanced Part Number Search. Request a Price Quote now for your Century LP Gas Product... CLICK HERE!